Historically, Rolex’s stainless steel Submariner was only available with a black dial and bezel insert. Blue was an option for those who purchased a Rolesor (two-tone) or solid gold Submariner; however, those who wanted a stainless steel dive watch were limited to just black. In 2010, Rolex released the reference 116610LV. In 2004, to celebrate the 50th anniversary of the Submariner, Rolex released the reference 16610LV. While Rolex doesn’t typically use “flashy” colors on its iconic models like the Sub, they made an exception. That year, it brought the world to attention with an alternative Sub that featured a flair for the dramatic: a green bezel. Or better known today as “Kermit.” Comparison: Unlike the current ceramic dial on the green 116610LV “Hulk,” Kermit features a higher gloss finish that gleams in a way that the ceramic models simply cannot match. Aside from the bezel, the Rolex 16610LV marked the Submariner-line re-launch of the so-called “maxi” dial which contains a set of larger hands and hour markers. Although the reference 16610LV gave prospective buyers the option of some color on their otherwise entirely monochromatic dive watch, it was a special anniversary release and was never destined to become a consistent offering in Rolex’s catalogue. Six years after the release of the reference 16610LV, the color green returned to the Submariner line, this time accompanied by a new case design, a ceramic bezel insert, and a matching green dial. 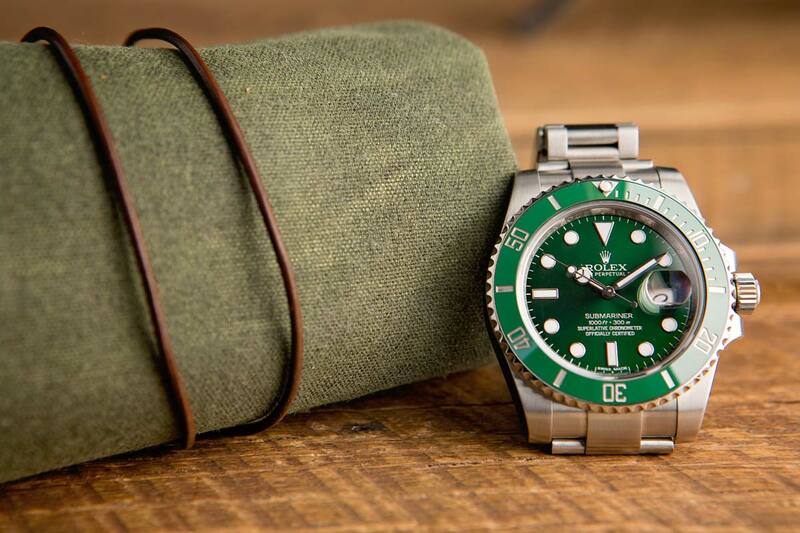 Rolex unveiled its new green Submariner, the reference 116610LV, at Baselworld 2010. 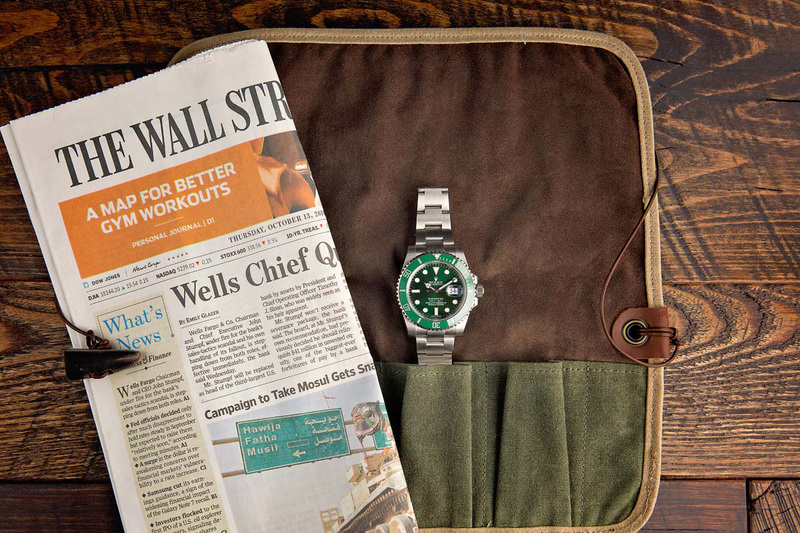 Rolex unveiled its new green Submariner, the reference 116610LV, at Baselworld 2010. Just like the version fitted with a black dial and bezel insert, the reference 116610LV utilizes Rolex’s redesigned case with thicker lugs and a bezel insert made from Cerachrom, a proprietary ceramic compound that is virtually scratchproof and impervious to ultraviolet sunlight exposure. On the 50th anniversary edition of Rolex’s Submariner, the dial is black, and it is only the bezel insert that is green. On the reference 116610LV, both the Cerachrom bezel insert and the dial are a vibrant green color, which gives the watch a much brighter and extroverted appearance. 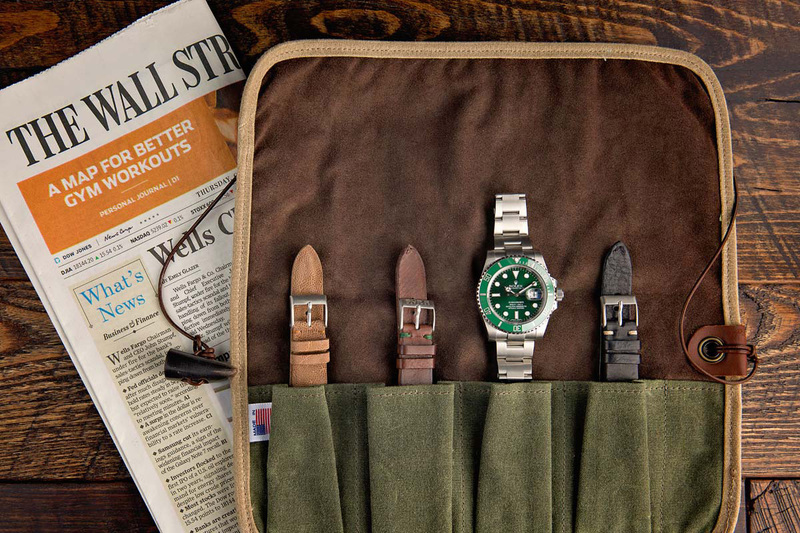 Due to its thicker case design and all-green color profile, the reference 116610LV quickly earned the nickname the “Hulk” among members of the Rolex collecting community. The reference 116610LV is the only non-black, stainless steel Submariner. The reference 116610LV marks the first time that both the dial and bezel insert of the Submariner have been manufactured in any color other than black or blue. Additionally, the reference 116610LV is the only non-black, stainless steel Submariner currently in production, which allows it stand out even more among the myriad of other Rolex dive watches in circulation. The bright green color profile of the reference 116610LV is slightly less versatile than that of the classic, all black reference 116610LN Submariner; however it is one of the most vibrant and playful watches that Rolex has ever put forward. The Submariner has become Rolex’s best selling watch in recent years, and as a result, there are quite a lot of them in existence. For those who want a stainless steel Submariner, but who also want their watch to be a bit more unique and eye-catching, the reference 116610LV is a fantastic option that takes Rolex’s iconic dive watch and pairs it with an entirely new aesthetic.